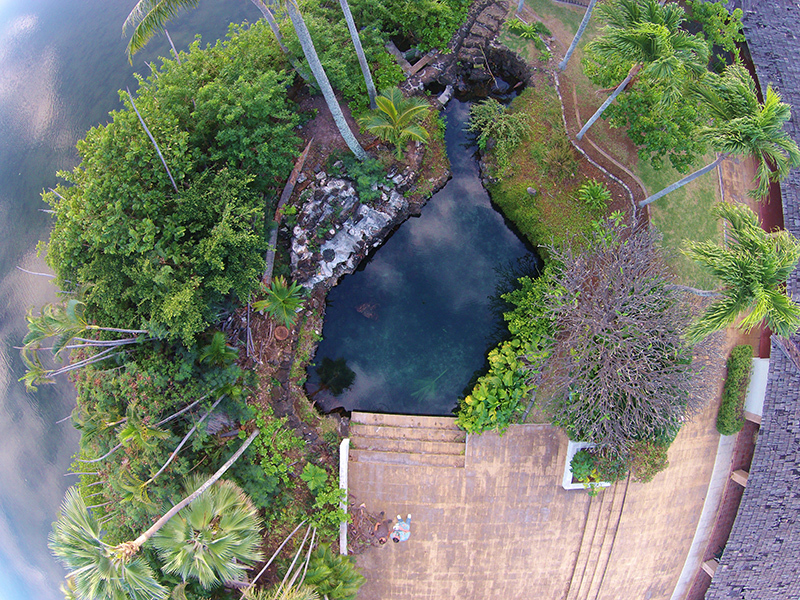 Kanewai Spring is one of the last remaining freshwater springs in Honolulu. The spring feeds into Kanewai Fishpond, the Paiko Wildlife Sanctuary, and Maunalua Bay. The mixing of fresh and salt water between the spring and fishpond provides a fertile estuary habitat for rare freshwater limpets and brackish water mollusks (pipiwai and hapawai) and the endangered ae‘o (Hawaiian stilts). Knowledgeable kūpuna (elder) Uncle Henry Chang-Wo explained the spring is where the mountain gives birth to the ocean. Since 2010, Maunalua Fishpond Heritage Center has been stewarding the spring and the archaeological and cultural sites on the property. In 2017, The Trust for Public Land worked with the center to permanently protect the site so they could continue to maintain the spring and offer educational opportunities—teaching skills for the next generation of caretakers such as invasive species removal and native plantings, traditional Hawaiian dry-stack stone masonry, and water-quality monitoring.